I Recently visited Bauern-Stube with a couple friends who told me it was good. I used to go this location when I was in high school and it was a Pizza Hut. I like the decor, especially the German and tourist books. To start off I had the Venison stew which was in a light beef broth, kinda tasty. 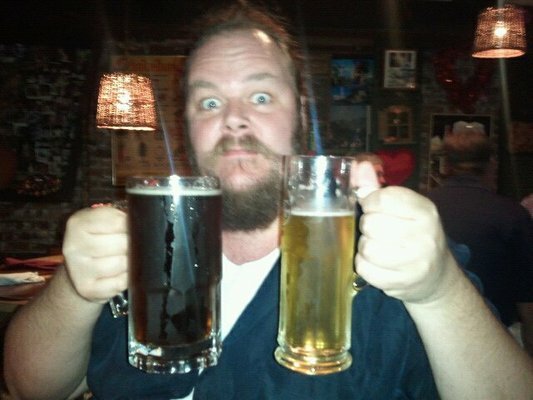 Also I had a huge 1 liter mug of Oktoberfest beer, my favorite. 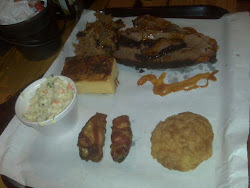 For my main course I had the Sampler platter which was about 27 dollars. 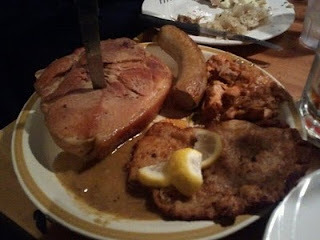 It had the hugest piece of pork you've ever seen(see pic), with a nice layer of fat still attached to the side of it. 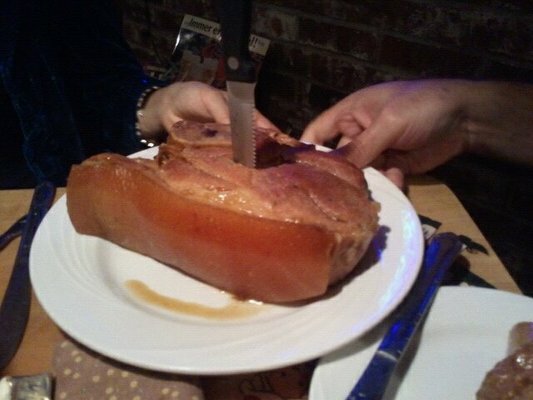 It was like a ham steak you'd have with breakfast but 4 times as thick. It was kinda tasty but there is no way you could eat the whole thing. It also had a white bratwurst which was decent and a good sized piece of schnitzel which was good. Also there was a small piece of rolled up beef in gravy, this was probably the tastiest item on the plate. My favorite thing was the honey mustard they had on the table, I dipped everything in it and it was delicious. I asked where they got it and she said probably Aldi, but afterwards I went to Aldi and they didn't have the same one. 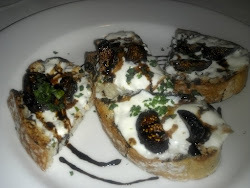 It was very dark and grainy but also sweet. Highly recommended for an authentic German dinner experience.